I recently made the careless mistake of leaning my Big Green Egg plate setter against my BGE stand while I was adding charcoal. I got sidetracked and left the area, returning through my fence gate. 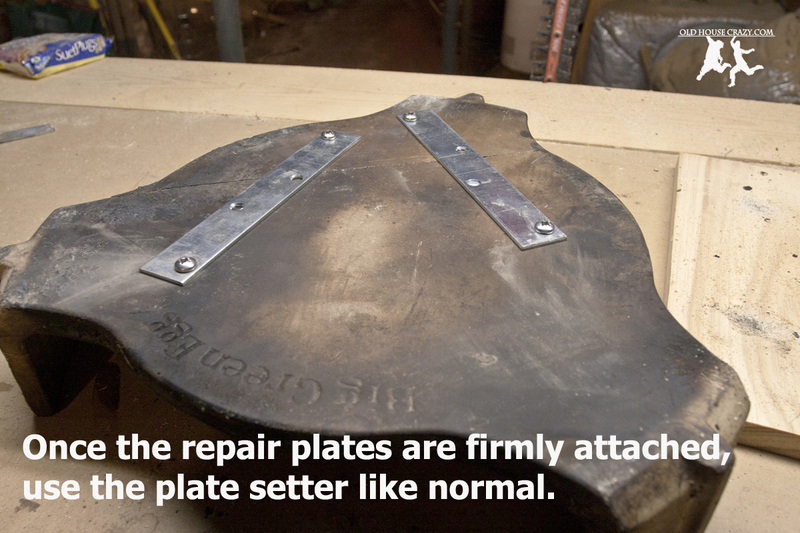 When I opened the gate, I knocked the plate setter over and it cracked cleanly in two. I saw it fall in slow motion. Anybody who’s broken something expensive knows that feeling. 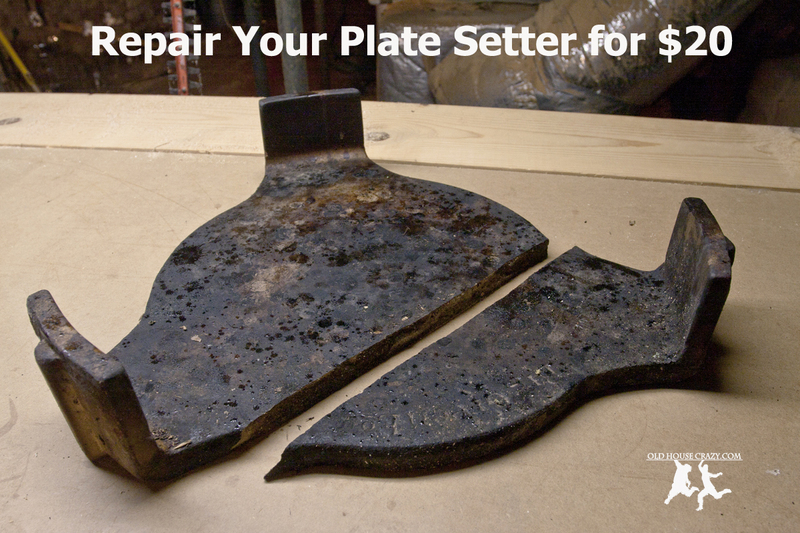 A replacement plate setter would cost me 65 bucks at the local Ace Hardware store and, since BGE stuff never really goes on sale, I was distraught. It was a sad day. I know it looks gross. If yours isn’t black from smoke, you’re not using it enough. 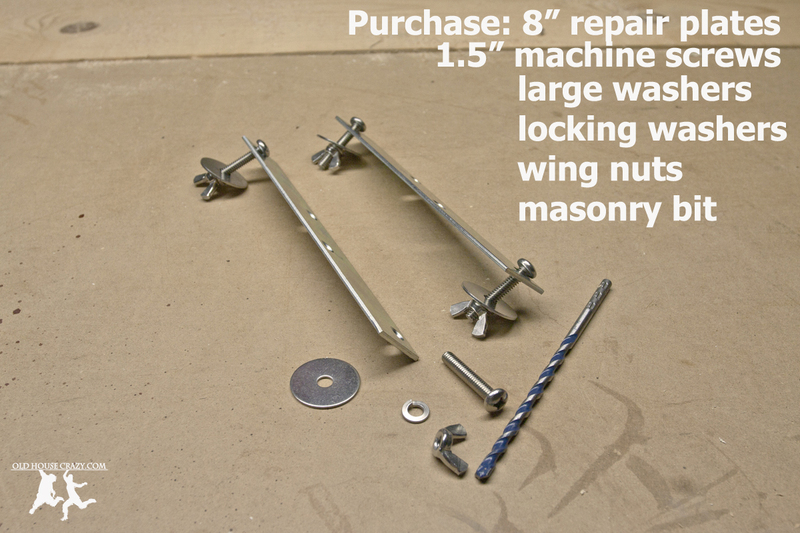 I started by purchasing the following stainless steel hardware: 2-8″ repair plates, 2-1.5″ machine screws with large washers, locking washers, and wing nuts. Stainless is expensive, but I didn’t want any metal coatings leaching into my food. I also purchased a masonry bit that matched the diameter of the screws. In total, I spent 21.08 at the hardware store. 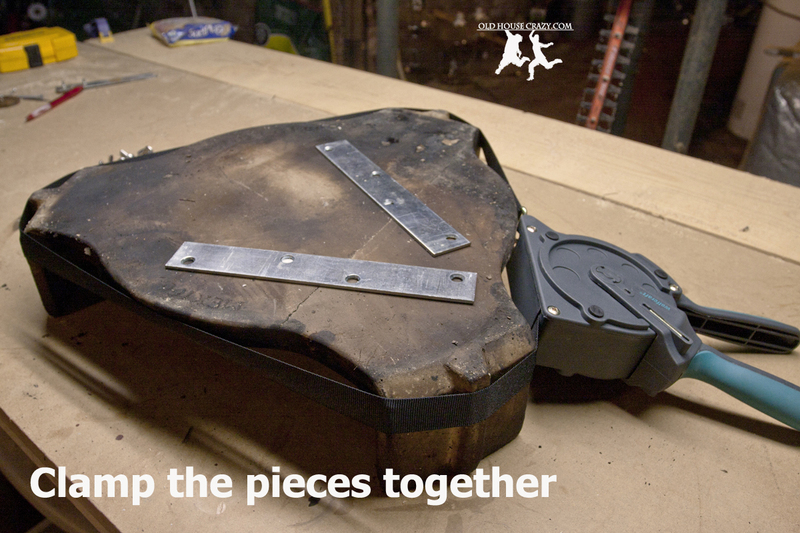 Once you’ve gotten your hardware, clamp the pieces of the plate setter together firmly. I used a band clamp, as shown in the photos. 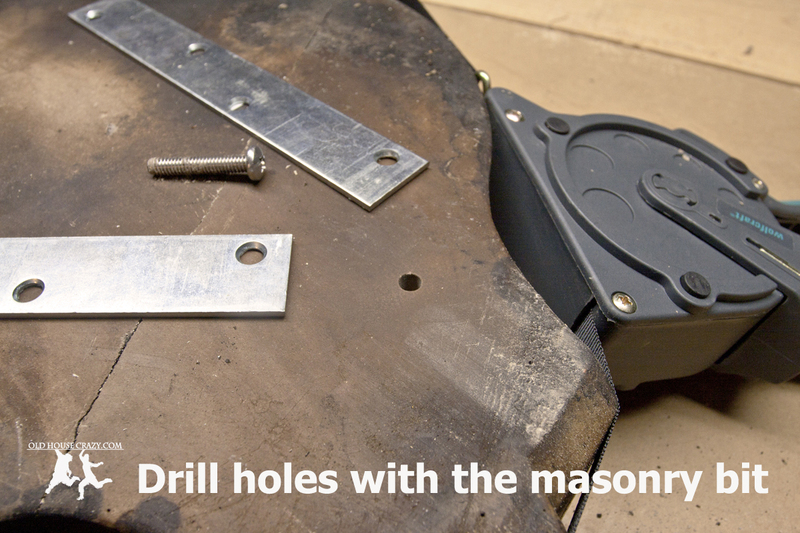 Once the plate setter is firmly clamped, place the repair plates across the crack and use them as a guide for drilling holes with the masonry bit. The ceramic that BGE uses to make their stuff drills very cleanly with a proper masonry bit. I wouldn’t recommend doing this with a standard wood or metal bit. 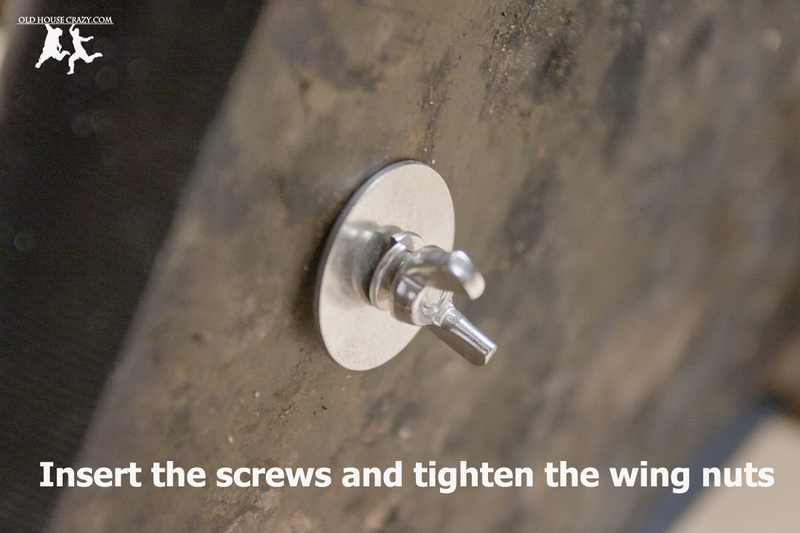 After your holes are drilled, insert the screws through the holes and attach a large washer, then a lock washer, then the wing nut. Tighten the wing nuts firmly. This entry was posted in Big Green Egg, DIY, Food, Grill and Smoker, Tools and Techniques. Bookmark the permalink. I hope I never have to make that repair, but if I do, I’ll be following your directions. Thanks for the tip. I split my playesetter in two right before I needed to put two turkeys on the grill for Christmas dinner. Luckily borrowed one from a friend. I was skeptical but decided to follow your advice. Tried this repair a few weeks later and it worked wonderfully. Probably cost $10 in parts from Ace Hardware. Awesome. I’m glad it worked out. Ours is still in great shape after the repair. Mine broke as well. I just purchased a charcoal grate made for a weber kettle grill for around $15. It fits right on top of the fire ring. I just put the two pieces of the plate setter on top of the grate and use it as I normally would. Worked great.